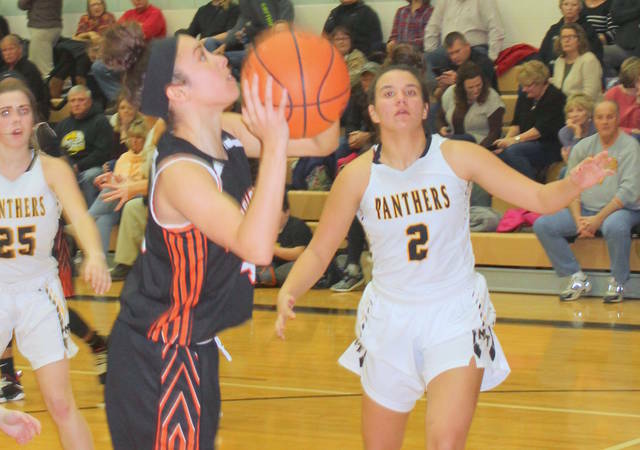 EBER – Through three quarters, Miami Trace gave Wilmington all it could handle in a non-league girls basketball matchup of former South Central Ohio League rivals. But in the fourth quarter, it was all Lady Hurricane. Wilmington exploded for 22 points in the final period and turned back Miami Trace 60-39 Tuesday night. Zach Williams’ squad improves to 12-4 with the win. Ben Ackley’s Lady Panthers are 9-6. Mya Jackson led the Lady Hurricane with 20 points, on 7 of 8 shooting, but she had plenty of help on the offensive end. Jasmine Jamiel poured in 13 points, seven of those coming in the final period. Sami McCord was consistent throughout and finished with 12 points, making all five of her field goal attempts. Jackson’s career total is 1,807. She is 24 points away from passing Phil Snow on the all-time Clinton County scoring list. With 30 points, Jackson would pass Jaevin Cumberland for third place all-time. Jamiel was a back-court pest to the Lady Panthers, handing out nine assists and coming up with five steals. McCord had five rbounds and two assists. McCord dropped in five points in the opening period but WHS and Trace were tied 12-12 after one. In the second, the Lady ‘Cane offense struggled and the Lady Panthers seized the halftime lead 26-21. Four players scored two baskets each for WHS in the third and things began to turn around. Emily Self led the charge with five points and Wilmington took a 38-33 lead into the final quarter. 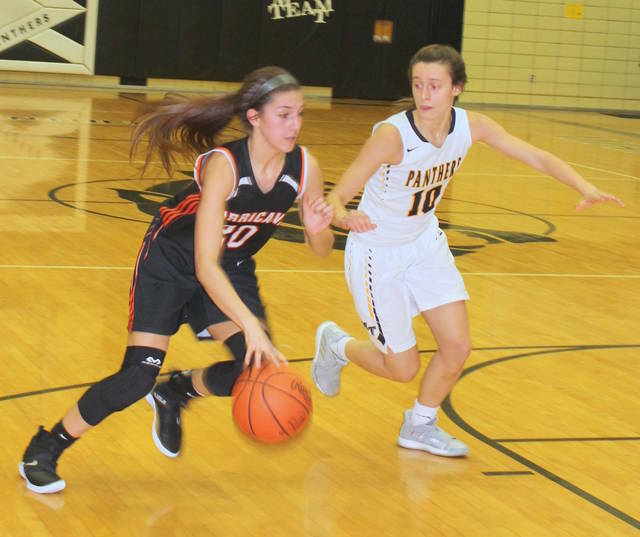 Any thoughts Miami Trace had of an upset were quickly dashed as Jasmine Jamiel scored seven and Jackson hit for nine and WHS took the final frame by a 22-6 margin. Wilmington was 7 for 8 at the line in the fourth quarter.